Raiding your Mom's stash of beauty goodies is every little girl's dream, and when you've got a mother who brings together feminity and elegance in a single stroke, borrowing her stuff is inevitable. Today I've got one such nail polish from her collection that I'm sure all of you will adore! Hello everyone! Apologies for being a little absent here. There was a lot of stuff going on all around. But, I am back now and hopefully will be a bit more regular. We’re always demanding the best fit and the right match to let our individuality shine - with clothes, shoes, accessories, relationships and so much more! Then why not with makeup? Now there's makeup that doesn't hide or mask, but compliments and perfects your complexion. The new FitMe! 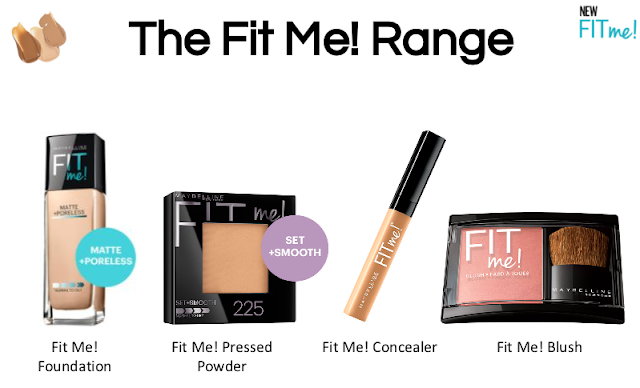 Range is the first-ever face make-up range that will suit your every need and is #MadeToFit your skin tone. The white floral notes accentuated with heavenly Jasmine and vibrant Blood Orange speak of a relaxed sensuality. The sharp piquancy of Ginger, the subtlety of Amber and Apricot conjure up a woman of many passions. Finding the right fragrance for yourself can be quite the challenge. With so many options at hand, the task is no less than daunting for a newbie like me. I was a happy bird with my loved Reefresh, light and cool to help me breeze through the day. Then I dabbled in Sheer Love and Sensual Blush body mists that were the perfect choice for short rendezvous. I went over the moon when Swati gifted Cool Water to me (which reminds me, I have to review it!! ), and I thought my fragrance collection was complete. But one whiff of these Skinn perfumes got me lusting again. In my twenties, and not even one perfume fit for a lady? Not happening.